It seems clear that Apple is about to refresh its Mac lineup, which was last updated in July 2011. The latest rumor, from an analyst who spoke with AppleInsider, is that not only will the 17-inch MacBook Pro be dropped, but that Apple will resurrect the MacBook name — after killing it off last summer — for a pair of 13-inch and 15-inch laptops, with the latest Intel chipset, a Retina Display, and the choice of a solid-state or traditional hard drive. 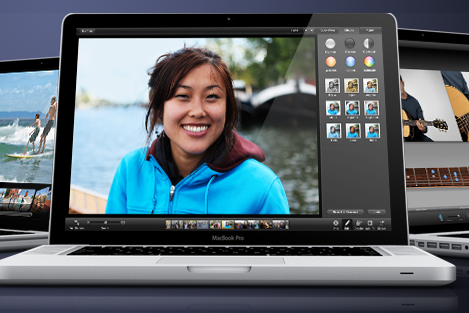 But like the MacBook Air, it will supposedly ditch the optical drive. The two new MacBooks, reportedly, will exist alongside two refreshed MacBook Airs and two new MacBook Pros. T-Mobile may be the only major carrier in the U.S. that can’t offer the iPhone, but it’s going to use WWDC to test its upgraded 4G network. On Thursday the carrier confirmed to 9to5Mac that it is doing a trial run with its 4G HSPA+ service in the 1900 MHz band around San Francisco’s Moscone Center, where, “coincidentally,” iPhone-toting WWDC attendees from all over the world will be swarming starting Monday morning. Bloomberg Businessweek has a great profile of one of the most familiar faces of the annual WWDC event besides Steve Jobs: Apple’s SVP of Worldwide Marketing Phil Schiller. The piece focuses on the pressure he’s under — as holder of the company’s nearly $1 billion annual ad budget — to keep the company and its products “cool” and relevant. The aftermath of every Apple event is clouded by unmet expectations on the part of Apple fans and critics alike. If you want to see what the people who trade Apple stock are expecting and how they view Apple stock’s potential, take a look at Fortune’s roundup. wonder when they will bring back the ‘ibook’ name? just seems to make sense.